With Valentine’s Day just around the corner, the pink and red DIY’S keep popping up everywhere. I personally love this romantic holiday and not only for the chocolates, red roses and delicious dinners. I love creating and sewing for Valentine’s Day. 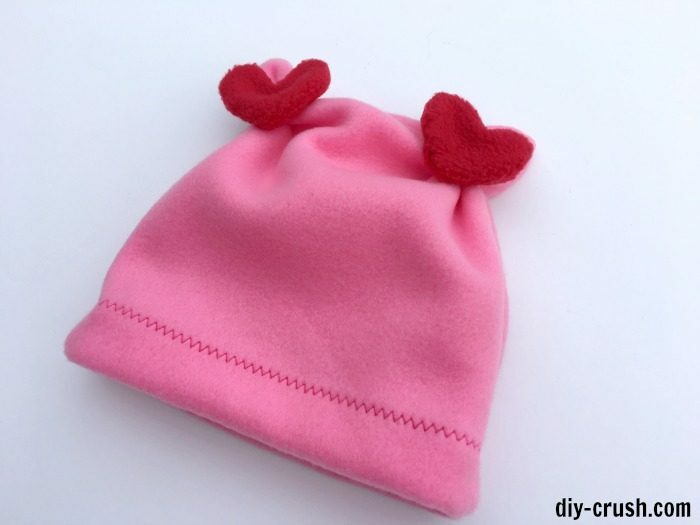 Today I have a cute Valentine’s Day hat DIY for you! In February it is still cold in my area and we love our warm fleece hats and other clothes. I keep sewing my daughter these little fleece hats with ears and fringe pom poms. She has about a dozen, probably more! They are super to whip up and you can use scrap fleece fabric which makes them a great frugal project. I had this vibrant pink and red fleece fabric which I thought was perfect for the hearts! I also loved the bright pink for dark days when the sun just doesn’t want to come out. Bright colors make me happy. For this example I added only two hearts to the front of the hat. You can make four hearts and add them to both sides! I think I need to add two more hearts to my hat, too. BTW, I used the smallest size heart with a roughly diameter of 2.5″ for my size 10 hat. I used these heart templates for a couple of other projects like these heart mittens and a heart appliqued pajama my daughter adores. Once you downloaded the templates, cut out the desired size. I used the 2.5″ heart template for my size 10 fleece hat. Fold your fleece fabric over sideways so that the stretch is going sideways and the print direction (if applicable) is going down. Cut out 2 pieces for the hat and 4 heart pieces (unless you want to add hearts to both sides). 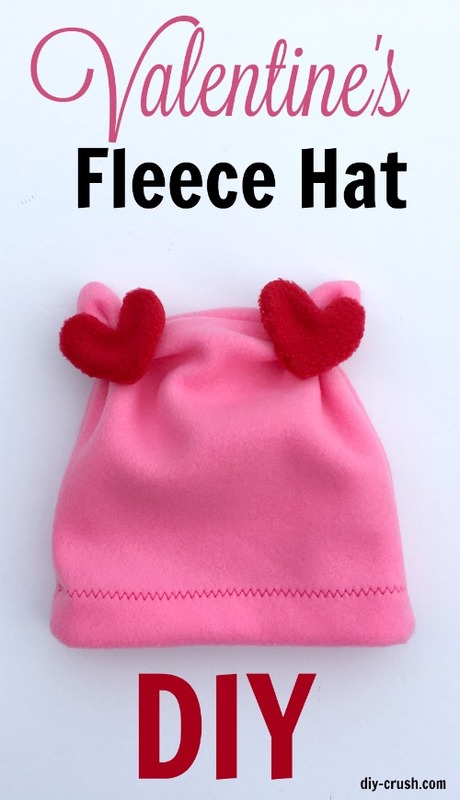 Seam allowance is 3/8″ for the hat and 1/4″ for the hearts. And our little hearts fleece hat is done and ready to be worn! Now I have to get my daughter to model it for me! Hopefully very soon! If you like this project, you might be interested in our Valentine’s Day DIY’S <= click this link! Are you interested in getting our newsletter? 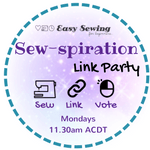 Hop on the mailing list on the sidebar!